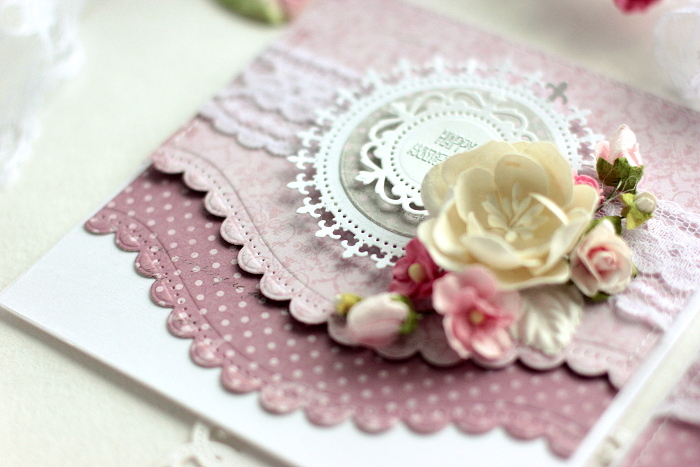 Cardmaking is such a relaxing process. 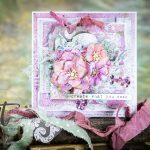 So today I, Elena Olinevich, show you how you can play with the papers and dies while creating beautiful background for your cards. 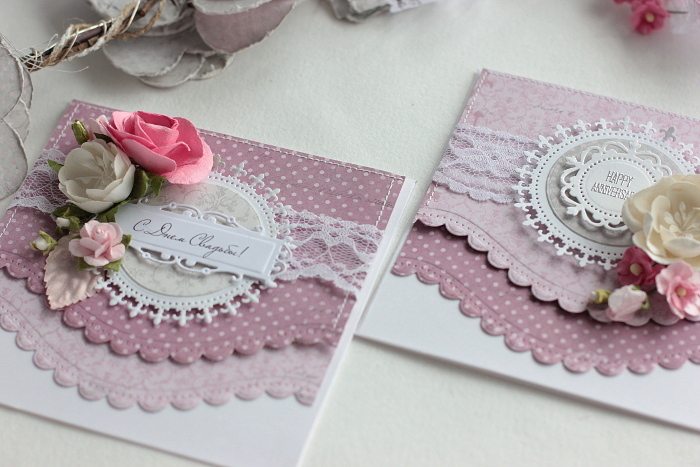 I love using pink color as the main tone for my cards. So this time I mixed the papers and use the front and the backside paper from the same paper sheet for two different cards. 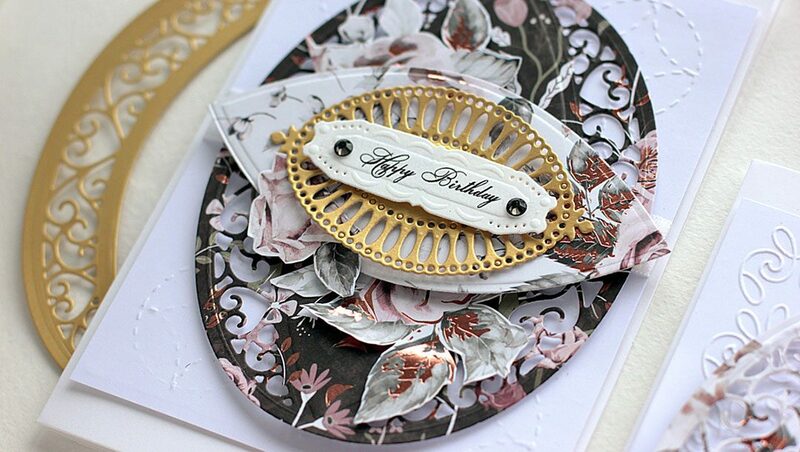 I started with die cutting the papers using A2 Curved Borders Two Card Creator Etched Dies. What I’ve added – I die cut one more extra layer and topped one layer over. 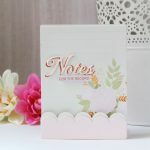 This scalloped edge looks nice, but in case to separate your two paper layers, I advice you to mount the upper layer on the foam pads. You will notice how it pops up from the background. 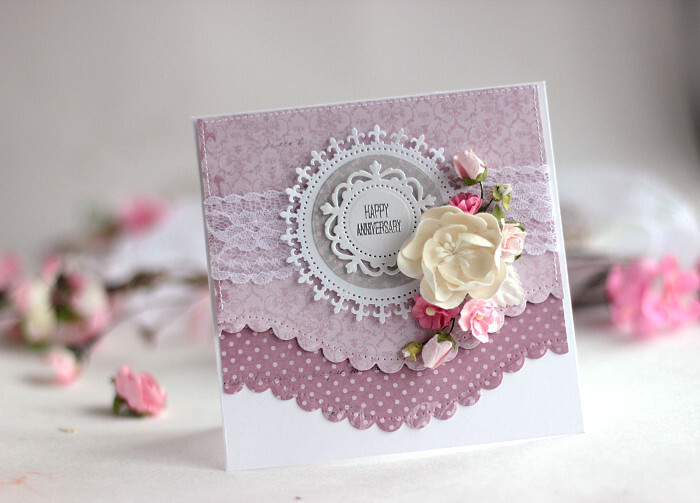 To help to create a flower cluster I’ve added the circle using the Royal Circle Etched Dies. 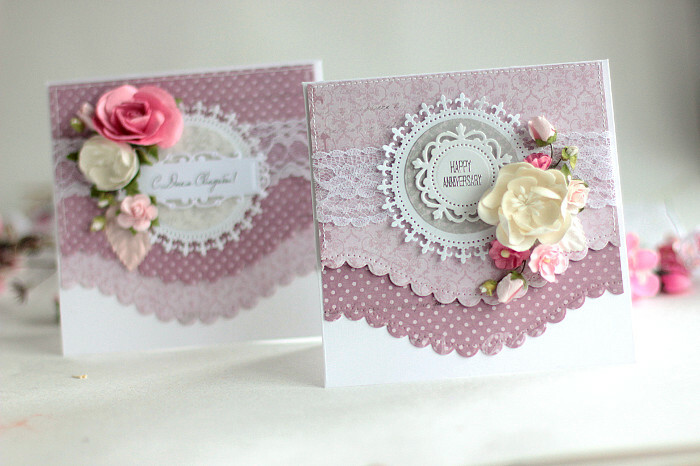 For one card I used the two from the die set, one to make the lace look circle and the smaller one for my sentiment, that I heat embossed after stamping. 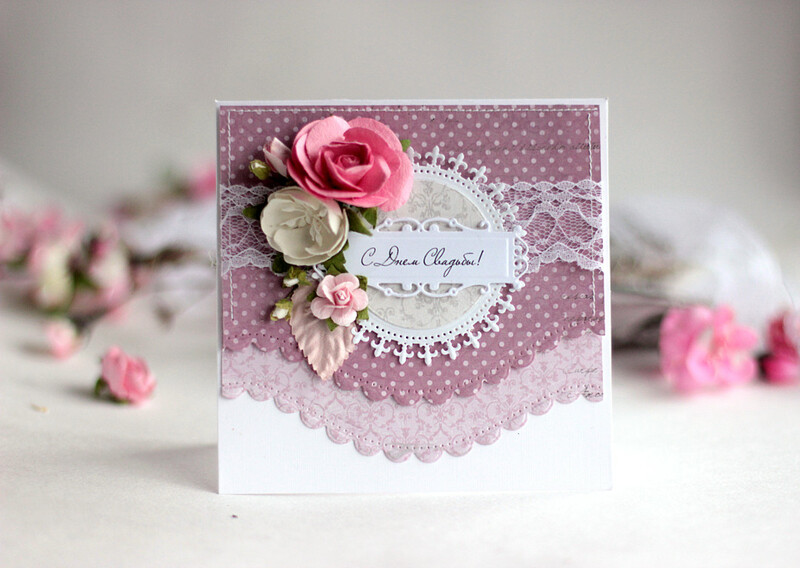 For my second card I used the same papers that I mixed by order. To place my sentiment I used my most often used die from Romantic Rectangles Two Edged Dies. 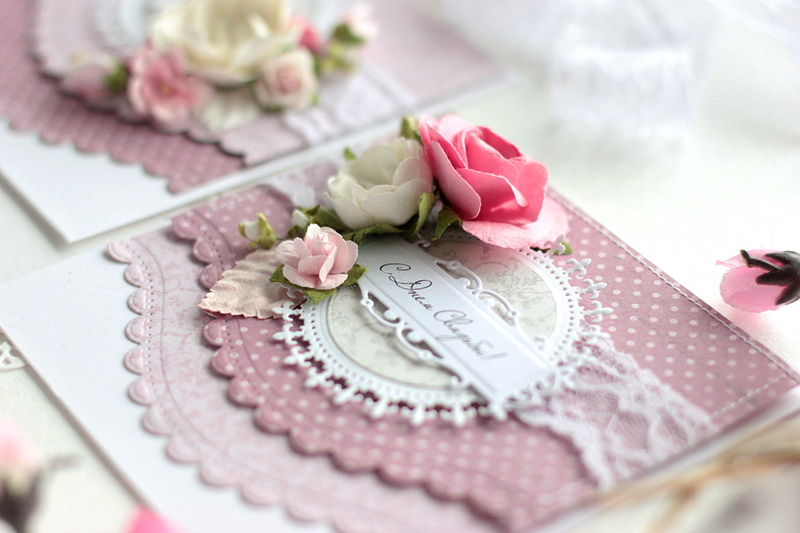 To make the cards a bit different, I mixed not only the paper order, but mirrored the flowers as well. 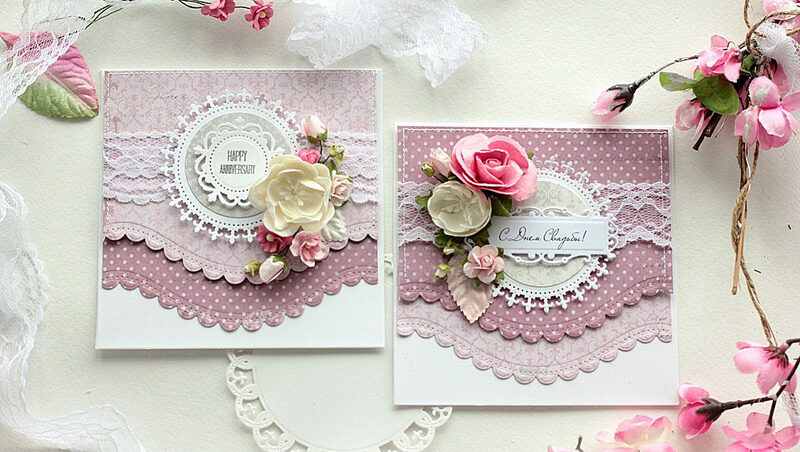 Actually it’s quite easy to create many cards that look different using the same papers and embellishments. Now it’s your turn to try . I am Elena Olinevich from Belarus (Eastern Europe). I have always been a creative person since I was a child. Then it was a long period when I have been busy with sales and marketing industry, and only after my first child was born I realized that I needed something more. 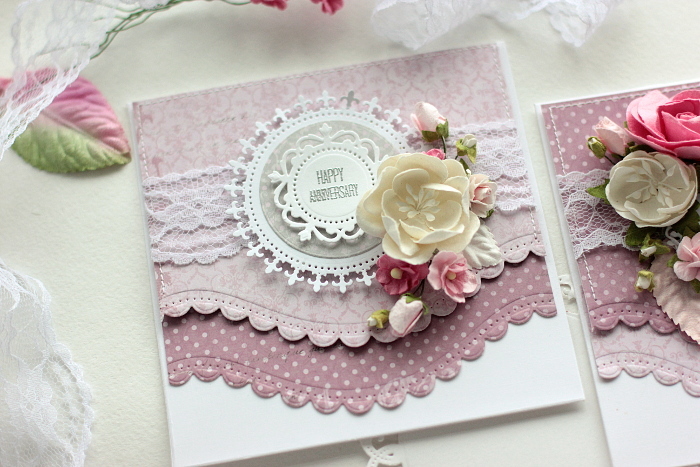 I have become a full time artist and scrapbooker in 2010 and I am very happy that I decided to change my life. My crafty job brings me more than only the joy and self-esteem. It provides me with the supportive followers, talented students and teaching the classes allow me to travel around the world. 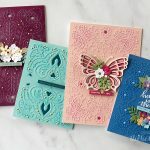 I started as a cardmaker, but at the moment I can say that I am all kind of scrapbooker as I love fussy cutting, papercraft, mixed media with a sense to details and layering, my distinctive feature.